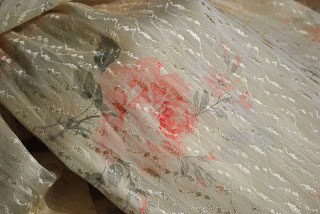 Delicate and lustrous Victorian peignoir. 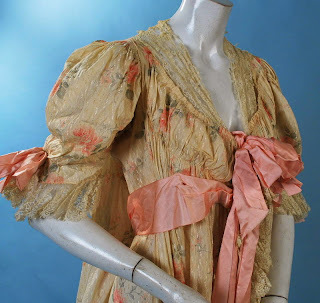 Watteau train and large pink silk ribbons. 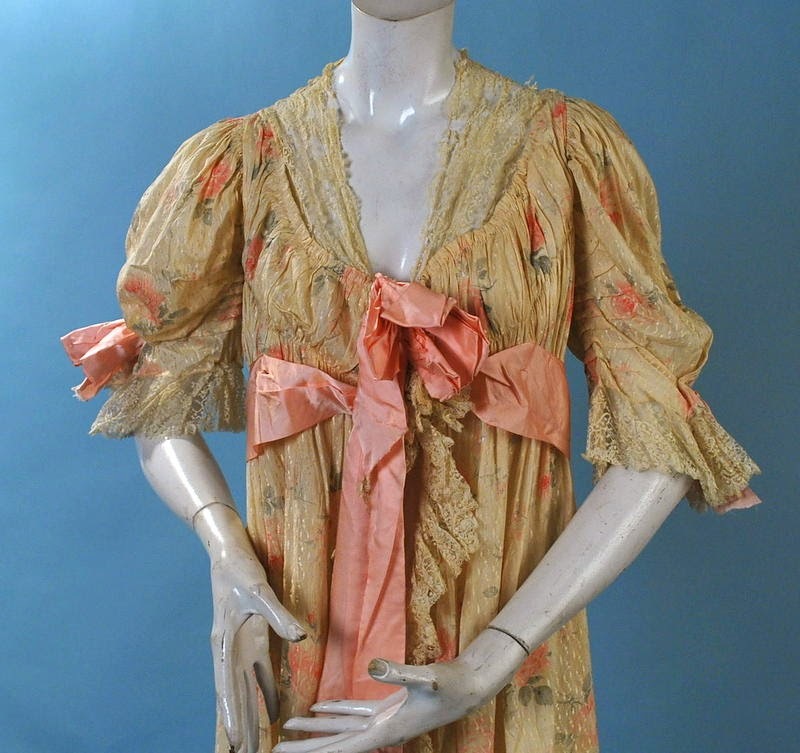 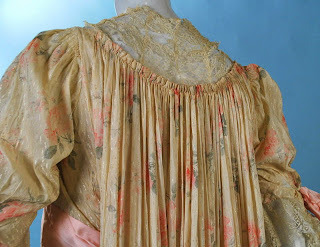 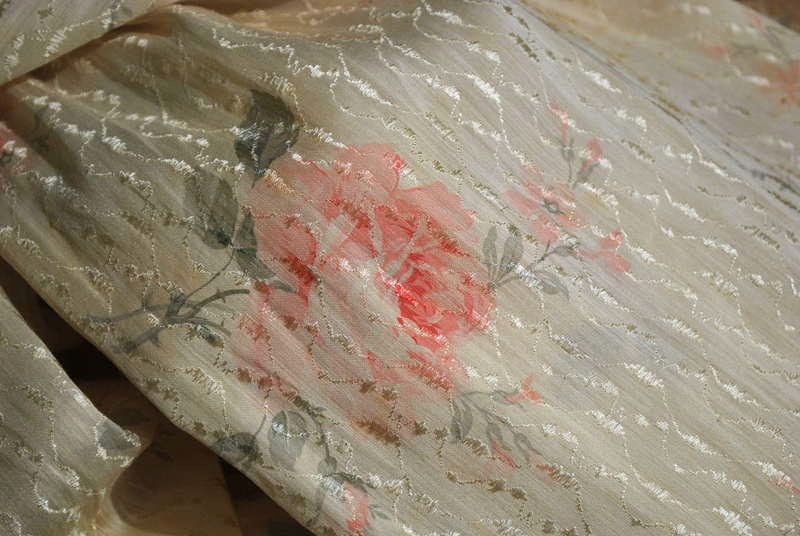 Lace trimmings are dry with holes and is completely trashed, silk ribbons have splits, however the fabric of the robe is in very good condition. Needs the lace and ribbons replaced. 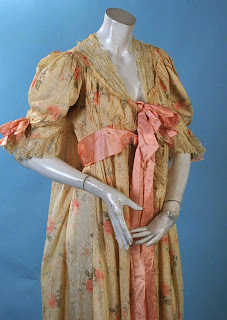 I think this is a few years later than the 1890's. 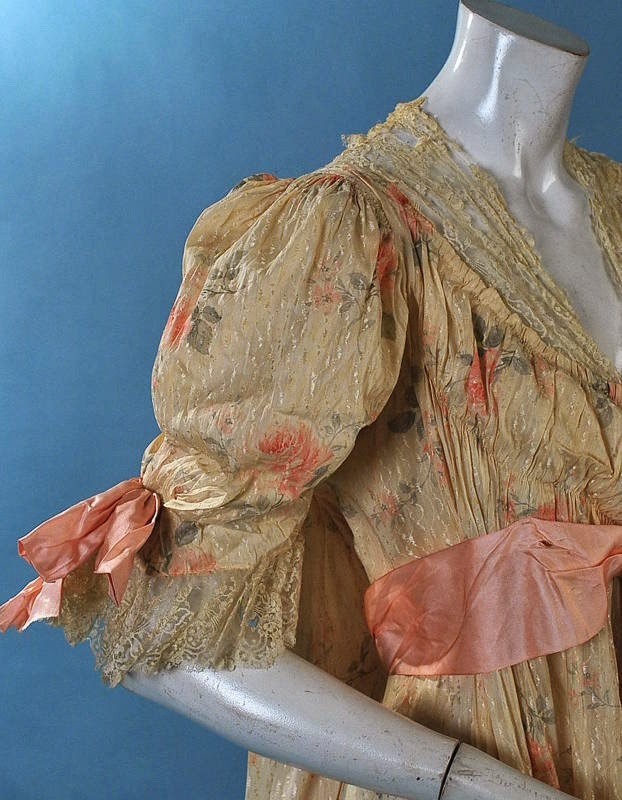 The bow placement and the sleeve style is more common in the 1900's. 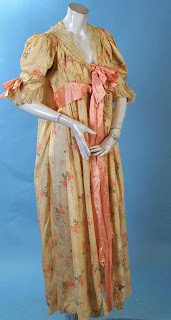 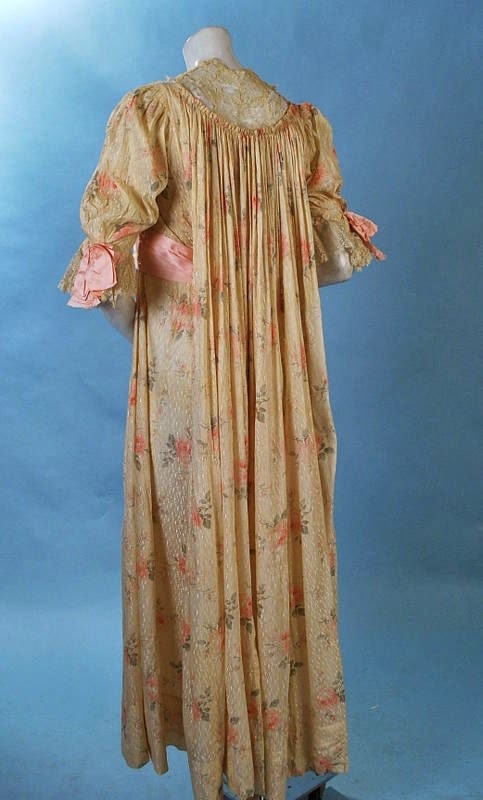 Notice, the sleeves go out, not up like in the 1890's styles. 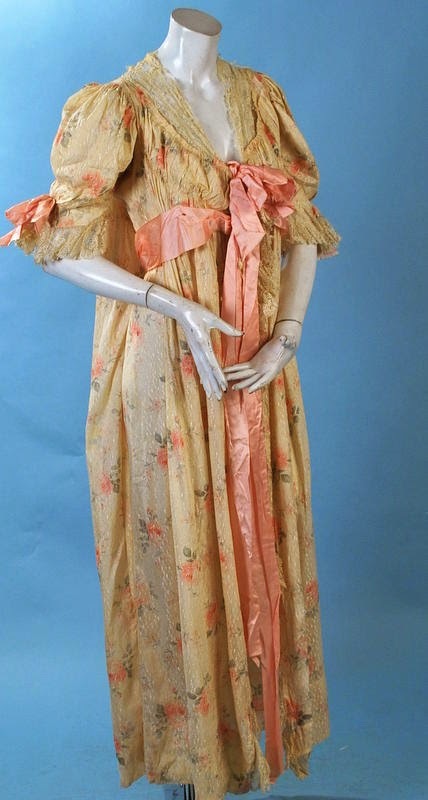 The fashion plate on this page matches the robe well - minus the sleeves. 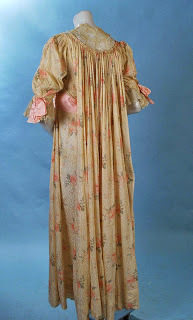 The plate is from 1902 - I think this robe is from about 1903/1904.